Opening night at the TCM Film Festival was a double edged sword this evening. 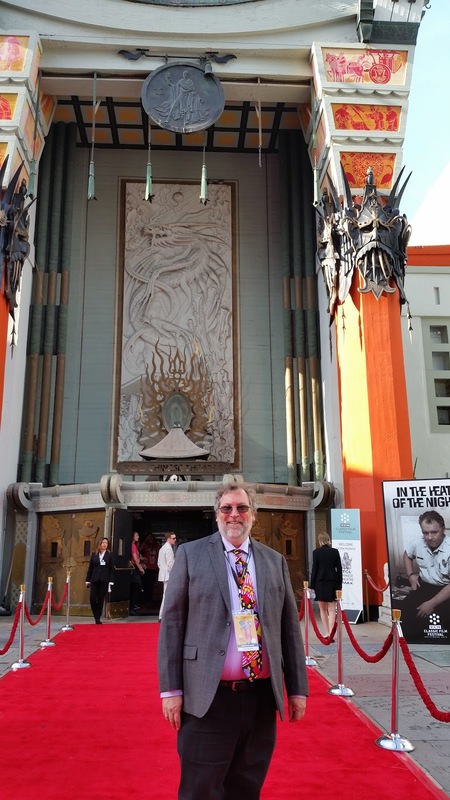 My plan had been to see the main event and then cruise down afterwards to see “The Man Who Knew Too Much (1934)”. Something created a hangup, and the screening did not start until forty-five minutes past the scheduled time. The late start meant that if we stayed for the whole film, we would miss the Hitchcock film. A real bummer because at the last minute it was announced that Martin Scorsese was going to introduce the film. 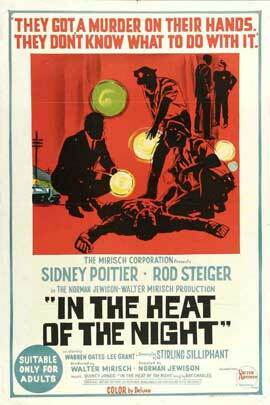 Amanda had never scene the whole of “In the Heat of the Night” so it seemed wrong to leave, plus once the film gets started, you don’t want to go anywhere. You get a chance to watch actors who are really good do what they do so well. Also, the guest list for the film is impressive. Our host was TCM’s Ben Mankiewicz, and his line up was amazing. Actress Lee Grant, who had been blacklisted and not worked for twelve years before this film, was there to talk about her experience. She was joined by the director Norman Jewison, who’s CV is about the length of your arm. The producer of the film, who won the Academy Award that year for Best Picture, is Walter Mirisch. He is ninety-six years old, and still amazingly engaged with the film business. If you loved a movie from the sixties or seventies, there is a good chance his name is attached to it somewhere. He mentioned that he has lunch every week with the man he considers his best friend, the star of this film Sidney Pointier. Mr. Pointier has voice issues so he could not participate in the discussion, so he just sat and watched the film from the row right in front of us. Just on the other side of the aisle from us were Alan and Marilyn Bergman, who wrote the title song that was sung by Ray Charles. Their other musical collaborations are too long to even think about listing. Right behind them was actor Scott Wilson, who played the second suspect in the film. He is a personal favorite of mine because of his starring role in The Ninth Configuration among others. OK, now that the name dropping is over, let me share a little bit of what they shared. Mirisch talked about his seventy year friendship with Poitier, and how the two of them found the property and spent a great deal of time developing it. The original treatment fixed a number of issues that the book had, but the screen writer had a job offer he could not turn down and he left the project to be replaced by Stirling Silliphant, who went on to win the Academy Award for best screenplay. Mirisch also told of how he negotiated the production cost of the film, based on the possibility that it would not play south of the Mason-Dixon line. He handicapped Director Jewison with a tight budget but a great script that they did not want to change. There was worry that the slap that Pointier gives to a white gentrified suspect might create race riots. Jewison regaled us with stories about how he and Rod Stieger worked out Chief Gillespie’s character. The gum Stieger chews in the film is almost a co-star. Of course the film holds up well in spite of the progress we have made as a country. The raw racism shown so casually would certainly shock today’s younger viewers who would have a hard time seeing how blatant such prejudice was, not that long ago. The film is an important landmark in the transition from the Jim Crow attitudes of the day to more enlightened perspectives just a few years later. The murder mystery is a plot device to allow us to see racial tension boil over and remain in an undercurrent simultaneously. Pointier was also in “Guess Who’s Coming to Dinner” in the same year. He was the number one box office star, and it mattered that this film succeed as it did. This one got done because we missed the screening you were at last night.